Me and Rob went out shooting on Sunday. 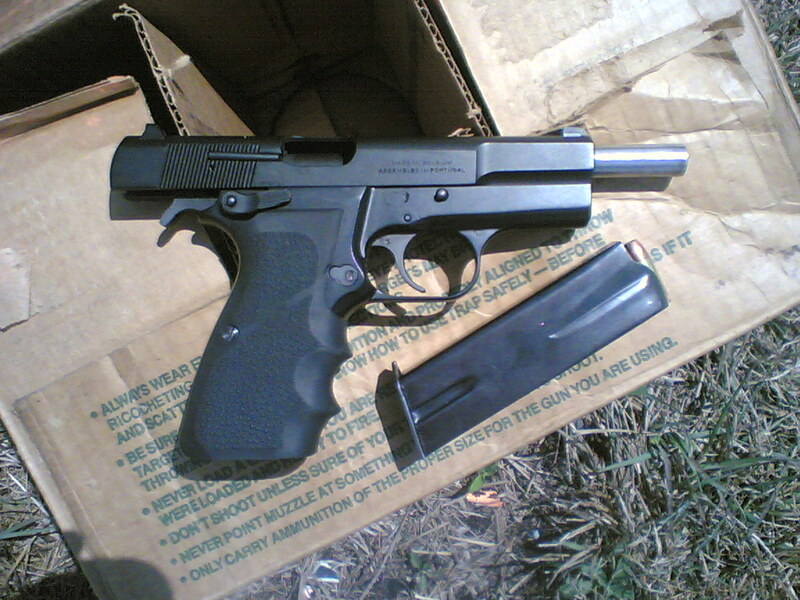 He has a new (to him) Browning Hi-Power pistol, and he wanted to shoot it some more. So we loaded up and headed to the western part of the county. On the way we stopped at the Wal-Mart superstore, where we were each able to get 100 rounds of Winchester hollowpoint 9 mm for about $10, and I got a box of 50 .44 mag for around $11. 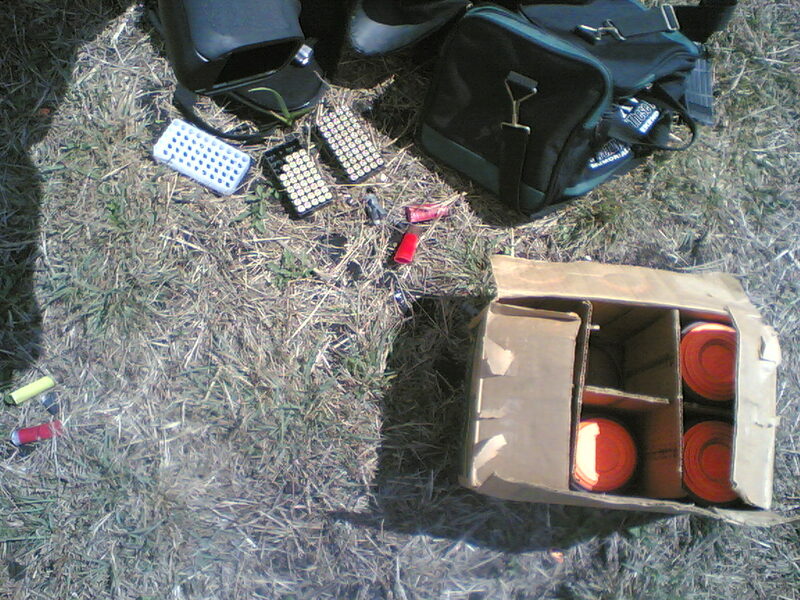 Rob had a box of clay pigeons, so we didn't have to buy targets. After driving for a while we got to the shooting spot. It's a secluded area in the cane fields, on a power line easement, which makes it public land. 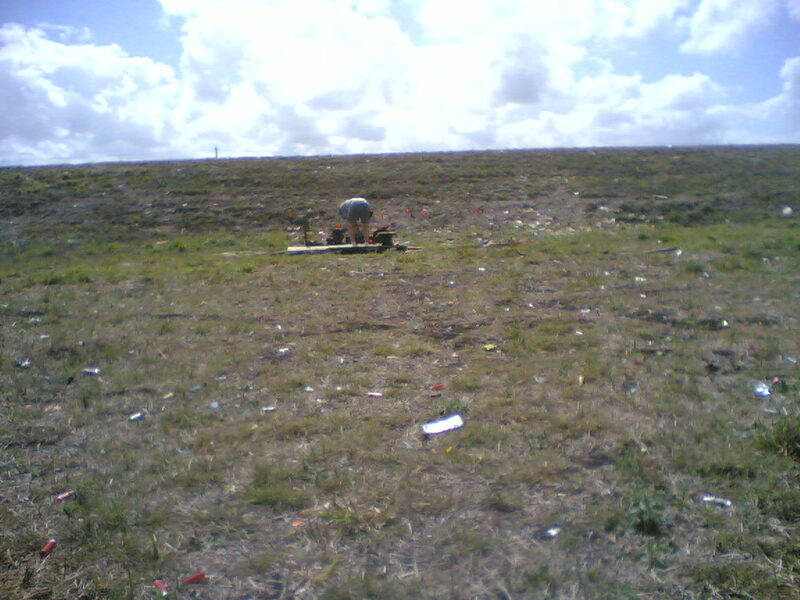 There was plenty of evidence of previous shooters, as the ground was carpeted with shotgun shells and brass. There was even what appeared to be a riding lawn mower, but as it was more holes than mower it was difficult to tell for sure. 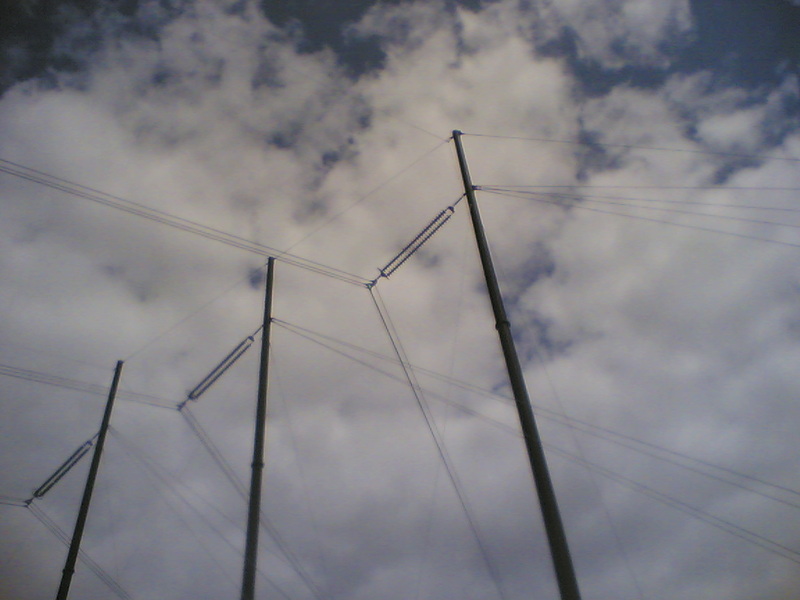 Rob set up the first round of clay pigeon targets while the power lines buzzed overhead. You can see the orange dots of the targets in the third photo. 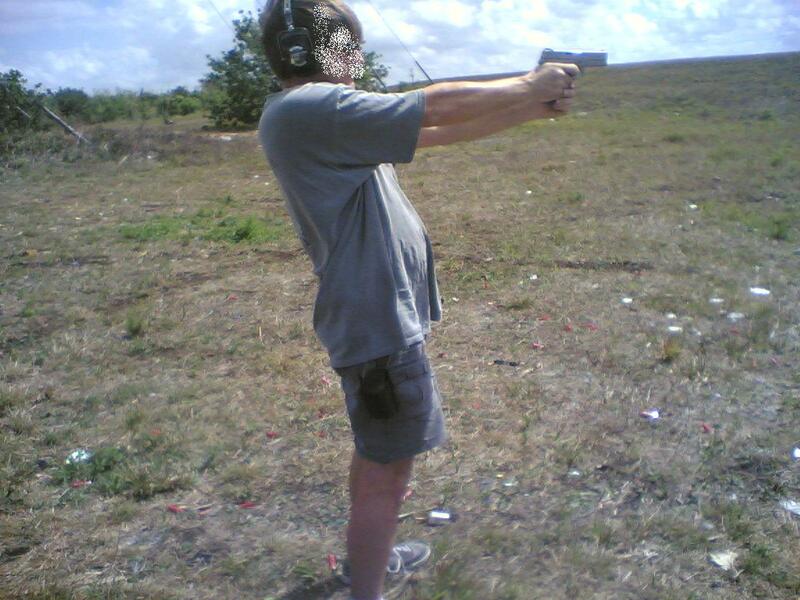 Rob had the Browning, as well as a .357 revolver with a 2" barrel. 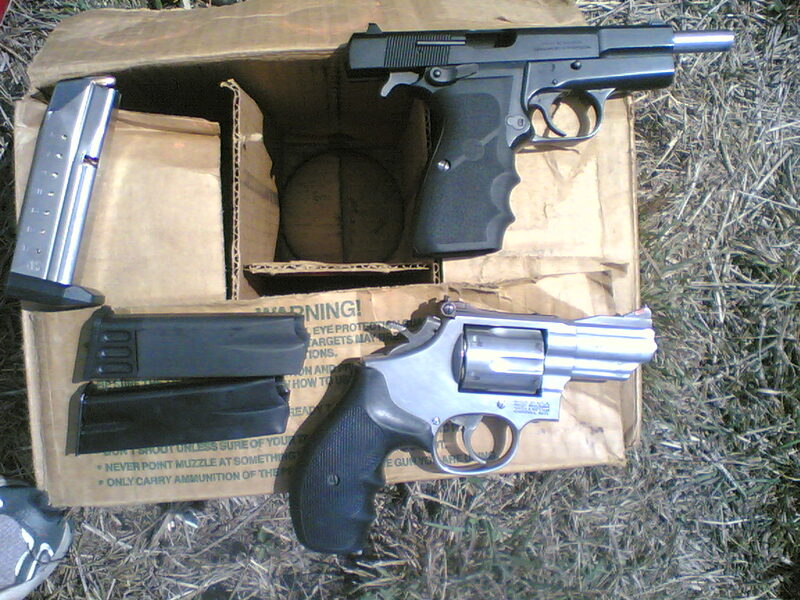 I had brought a S&W Sigma 9mm, and the Ruger Blackhawk .44 magnum with the 7" barrel that Rob had foolishly sold to me years ago. It's a ludicrously impractical gun, but it's appealing just because of its freakishly large size. 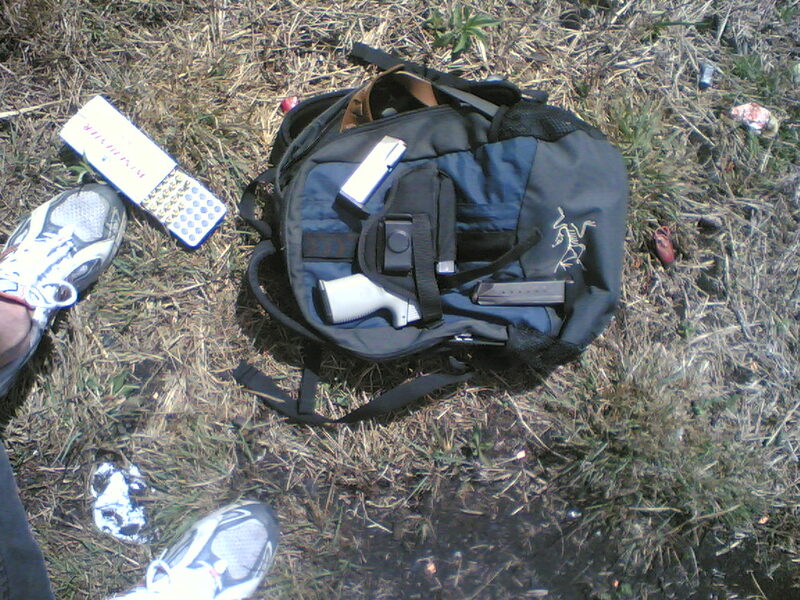 You can see the Sigma in its holster in the third picture, and the .44 lying in the grass in the fourth. Its size isn't really apparent in that shot. Once the targets were set up and the magazines loaded we began blazing away (after donning eye and ear protection, of course). 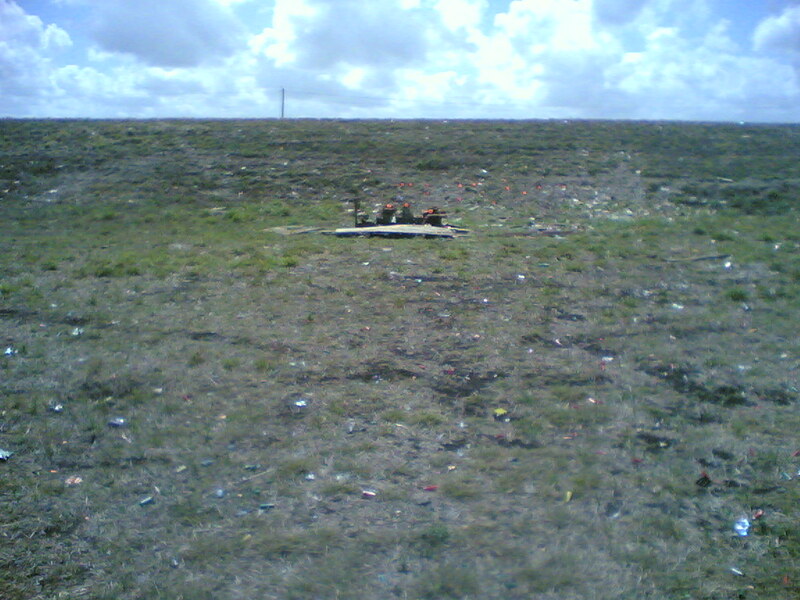 We were about 50-60 feet from the targets, and we were both satisfied with our marksmanship. 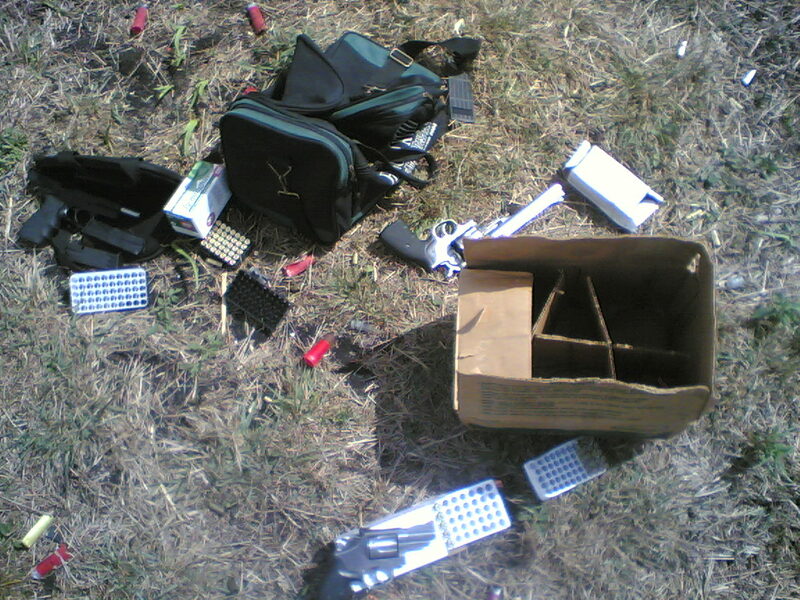 Rob had placed some of the clay pigeons on the remains of the riding lawn mower, and some of them slipped down behind it as their brothers were shattered. No matter. With the .357 and .44 we simply shot right through the mower to hit the targets. Cool. As we were down to our final rounds I found what appeared to be a piece of bank glass. It was about 4"x6", and it was 1" thick. It shattered satisfactorily when hit by the .357. After that, we loaded up and headed for home, where I performed my sometime Sunday night ritual of cleaning guns and watching the Simpsons.